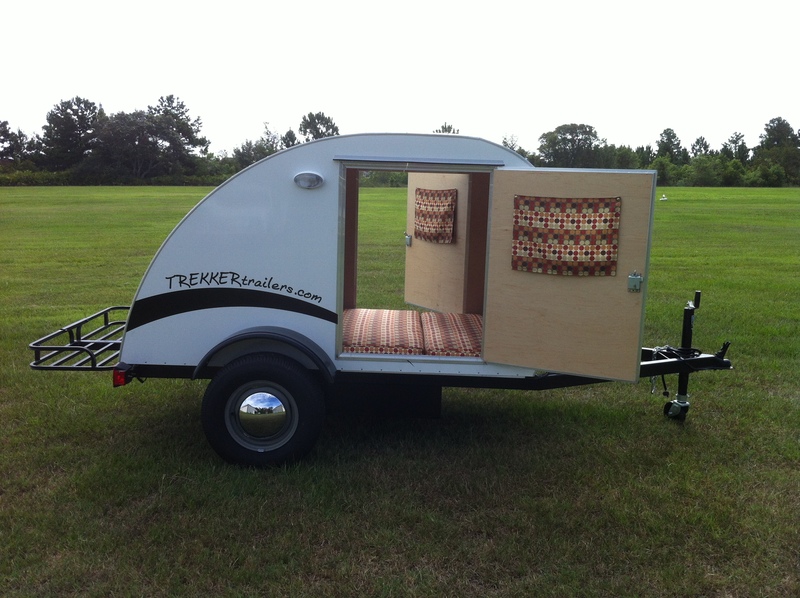 Eustis, Florida based Trekker Trailers will be conducting a class in late June where the students build their own trailer under the supervision of professionals. The first class is scheduled for June 21-30, 2013. 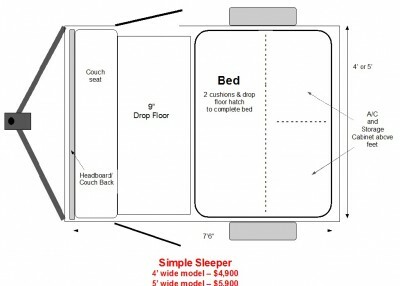 The model used will be their entry level Simple Sleeper, which is a teardrop trailer without a rear kitchen. 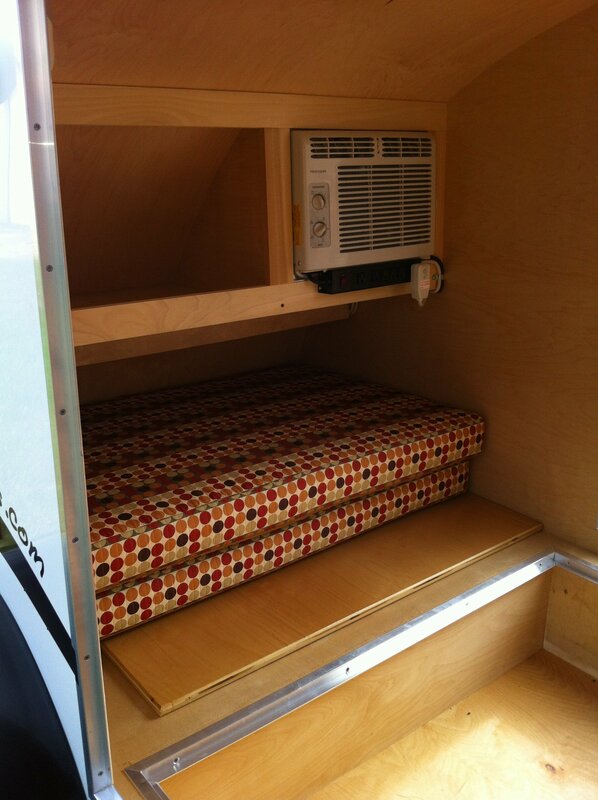 The Simple Sleeper features an air conditioner, rear cargo rack, drop floor, 2 doors, and a mattress. It measures 7 1/2′ long and 4′ wide, which, along with its 650 lbs weight, makes it easy to tow with a large motorcycle or small car. In the class, students will be cutting out the shapes using templates, assembling the wood structures, sheet metal, installing windows and doors, and the finishing touches. Some of the work will be done for you so everyone stays on schedule. The cost of the class is $3900 ($2500 deposit), which is a $1,000 savings on a Simple Sleeper had you just bought one from Trekker Trailers. Currently there are spots for only 3 students.